Come and see KathKath at SAMPLE on the 4th & 5th March. We are selling our scarves including seconds and samples. There will be loads of fun things going on and lots of designers seconds and samples! 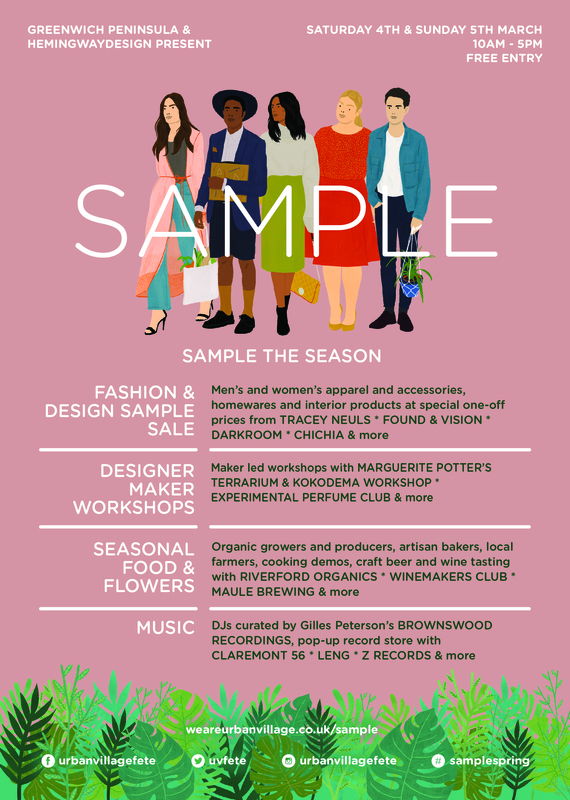 ‘Building upon the established success of Urban Village Fete and new for 2017, Greenwich Peninsula – The Peninsulist and Hemingway Design presents SAMPLE, a FREE celebration of the start of each new season through fresh produce and modern craftsmanship. #SAMPLEspring is the first in a series of events taking place on Saturday 4th & Sunday 5th March, that will introduce a serious selection of curated designers from the worlds of fashion, beauty, art, design, and homeware showcasing archive, one off show-pieces and previous collections in a location suitable for design lovers. With seasonal food stalls, they’ll be plenty of delicious choices for lunch as well as fresh ingredients for dinner. Not stopping at taste, the air will be filled with the smell of spring! From Hyacinth and Jasmine to bedding plants and glamorous flowers, flora & fauna will transform the Peninsula into oasis of foliage and textures. Alongside a chance to ‘try out’ with maker-led workshops and a musical backdrop, throughout the day, courtesy of Gilles Peterson’s Brownswood Recordings, you’ll want for nothing to start the new season off in style.